There is a general acceptance that Nahjul Balagha is seen as a Shia text even though it does contain content that contradicts the Shi’ee perception of history and ideology. The reason for this is that Nahjul Balagha is not a book that was written by one man, but rather, it is a collection of sermons by one man. Al-Shareef Al-Radhi gathered what was available to him, and thus, the variety of characters and personalities that make up one Ali bin Abi Talib. Al-Shareef Al-Radhi in many sections of his book goes out of his way to comment on specific words that need an explanation. At times he will even praise a sermon for its eloquence. These are all included within the book itself and they are accessible to readers. However, in this article we will be taking a look at a comment by Al-Shareef Al-Radhi that was omitted by the Shias, for it contained a name that brings discomfort to their hearts: Omar. To get a better perspective of who exactly is saying what, we briefly point out that Fakhaar bin Ma’d is a major seventh century scholar that studied under Ibn Idrees Al-Hilli and Ibn Shahr Ashoub. He is the teacher of notable scholars like Al-Muhaqiq Al-Hilli, Ahmad bin Tawus, and Ali bin Tawus. He was praised as a major scholar by the likes of Al-Hurr Al-Amili, Al-Majlisi, and Abbas Al-Qummi. The second scholar that is mentioned is Yahya bin Mohammad bin Mohammad bin Abi Zaid Al-Alawi, and it is sufficient to know that he is the representative of Bani Hashim in Al-Basra in the seventh century. Objections have been brought forth by Shias. 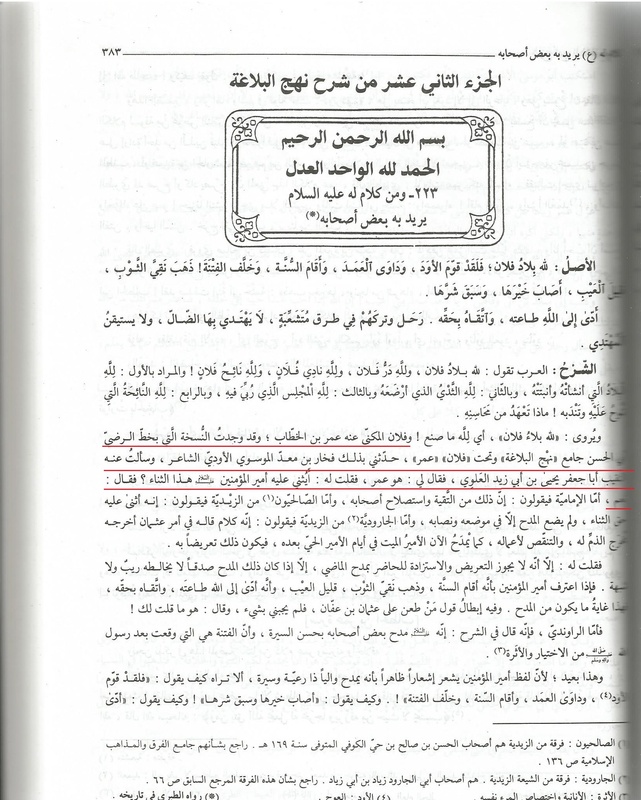 Some have argued that 1) Ibn Abi Al-Hadeed is not reliable, while others have been more accepting of the facts, but argued that 2) this opinion is only the opinion of Al-Shareef Al-Radhi and that it has no weight. Both parties argue that 3) such praise contradicts with Al-Shaqshaqiyya, and therefore, Ali must be referring to someone else. 2) To claim that Al-Radhi’s opinion has no weight is perhaps more problematic. Al-Radhi was trusted in his collecting of the sermons and letters themselves. If Shias have no trust in his understanding of the statements of Ali, then why trust him with attributing the statements to Ali in the first place? 3) As for those that argue that this understanding of the sermon contradicts Al-Shaqshaqiyya, then yes, we agree. However, there is no justification for assuming that Al-Shaqshaqiyya is authentic in the first place, as we have proved in another article. Alternatively, in Sermon #162, he praises Abu Bakr and Omar for being those that served justice, which conforms with the meaning of this sermon as well. No matter what excuses the Shias give in order to reject or reinterpret this praise for Omar, the evidence is clear that Al-Shareef Al-Radhi’s commentary was omitted from his work. This academic injustice was not only done against one of the most notable Shia works, but against Ali bin Abi Talib himself. It may be argued that Shiqshiqiyyah is unauthentic, but how do we know if this particular sermon is authentic? For the Saheeh Nahj al-Balaghah has only 2-3 sermons and this isnt a part of it. So,accordingly even this praiseful sermon of Omar is unauthetic and doesnt stand strong against Shiqshiqiyyah. Appreciate your effort, but its pretty biased, I believe. 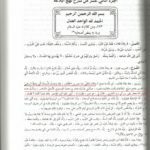 Regardless of the authenticity of the sermon to Ali, the article’s claim and main focus is on what has been tampered with from the words of Al-Shareef Al-Radhi, the author of Nahjul Balagha.